On 23 September, the Indian Pharmaceutical Alliance, a lobby group of drug makers including big players like Lupin and Ranbaxy, urged the government to not reel under US pressure for a stricter intellectual property rights (IPR) regime. The alliance stated that it would hurt the domestic industry and impede public access to affordable healthcare. Multinational companies are pressuring the US government to get India's patent laws altered. These laws allow for affordable drugs for a vast majority of the population. The generic drug market in the country has allowed for treatment of many life-threatening diseases. The US is seeking to overhaul India's intellectual property regime - from stricter provisions for compulsory licensing, to data exclusivity and patent linkages. While these terms may seem complicated, on the face of it, if India were to abide by the US's conditions, it would pose a threat to the burgeoning generic drug market in the country. Compulsory licensing is a provision the government can use to ensure mass manufacture of medicines, overruling patents in case of public health emergencies. India's patent office granted the country's first compulsory licensing order in favour Natco Pharma, allowing the company to manufacture a drug called Nexavar, an expensive anti-cancer drug patented by Bayer, a German pharmaceutical company. 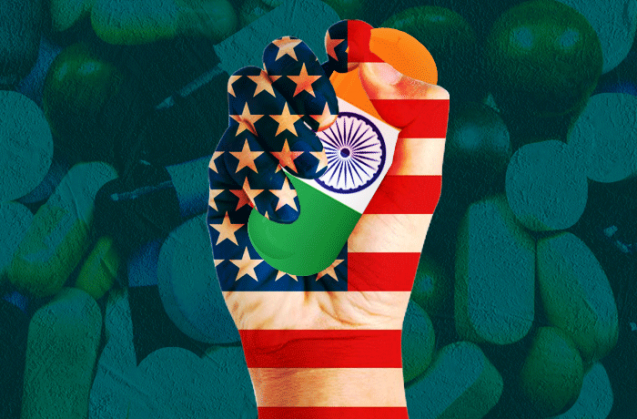 The US considers India's large generic industry as a threat to big pharmaceutical companies. The issue of granting compulsory licences is on the back-burner, since apart from the Natco case, not a single compulsory licence has been issued. Prime Minister Narendra Modi has considered looking into the IPR framework and making necessary changes, after his meeting with US President Barack Obama earlier this year. The US also wants India to abandon the usage of compulsory licences in all cases except emergencies. It also wants India to amend Section 3(d) of the Patent Act, which states that "the mere discovery of a new form of a known substance which does not result in the enhancement of the known efficacy" cannot be a valid reason to patent a drug. The Trade-Related Aspects of Intellectual Property Rights (TRIPs) agreement, which is the international IP standard for WTO members, explicitly allows compulsory licences. Data exclusivity is a concept that gives the original manufacturer of a drug the right to keep all information regarding clinical trials of a drug confidential for anywhere between five to 10 years. It refers to a set period of time, after marketing approval, during which no one else may use the innovator's data to obtain a marketing authorisation for a particular product. The US believes data exclusivity helps incentivise research and development of new medicines. Legal experts and health specialists believes the clinical trial data needs protection from disclosure and fraudulent use, but there need not be data exclusivity. India is yet to decide whether it needs to adopt a data exclusivity regime for pharmaceutical test data. The access to clinical trials data is crucial for pharmaceutical manufacturers to create generic and cheaper drugs. Data exclusivity will delay the entry of cheaper drugs into the market. Doctors Beyond Borders notes that data exclusivity will jeopardise production, as 80% of the HIV drugs it uses to treat AIDS in developing countries are produced in India. The World Trade Organisation's trade agreement, which India complies with, does not require data exclusivity. The US and the European Union want India to adopt the policy, mostly for the benefit of European drug companies. Intellectual property lawyers suggest that data exclusivity could impede the production and marketing of generic drugs for tuberculosis, cancer, and other chronic diseases. 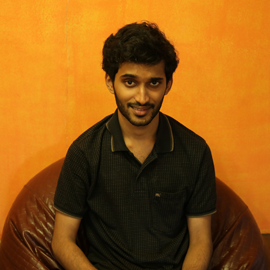 The other issue is that unlike patents, data exclusivity cannot be challenged under Indian law. This is the third, and most complex, bone of contention. The original pharma corporation which made the drug and holds the patent for it also holds the marketing rights. In such a scenario, called 'patent linkage', no generic drug manufacturer, including Indian firms, will be legally able to market it. Linkage prevents a drug regulatory authority from granting marketing approval to pharma companies for a generic equivalent. If this provision were to be adopted, it might severely delay getting generic drugs into the market. In case of a linkage, the patent-holder can assert that if a company tries to make a cheaper, generic variant of the drug, it also infringes upon the patent. Doctors Without Borders states that patent linkage requires drug regulatory authorities to take on the responsibility of policing patents, which delays the entry of generic drugs into the market. Health experts believe if linkage becomes mandatory, it will impose more restrictive conditions for the registration of generic medicines. The European Commission's Pharmaceutical Sector Inquiry preliminary report has itself noted that linkage deters innovation and production of generic drugs. Health experts believe the US is facing pressure from the powerful pharmaceutical lobby, which impedes it from looking at IP regimes pragmatically. Doctors Beyond Borders has time and again heralded India's IP regime and generic drug market, and has called the demands the US wants to place on developing countries is unjustified. The letter by the Indian Pharmaceutical Alliance to commerce minister Nirmala Sitharaman states that the US wants India to adopt provisions that are not even present in its own law. India has always maintained that its patent laws do not circumvent or contradict any international treaty. The US, under its own patent act, places countries in a list known as Special 301. India is under the 'priority watch list' of nations with an intellectual property law that is of serious concern to the US. "The US depends on putting bilateral pressure as it is difficult to get what it wants through multilateral means. This is its way of dealing with competition. It uses its domestic legislations like Special 301, which targets countries that 'violate' patent rights," says former foreign secretary Kanwal Sibal. Sibal believes India needs to stand firm on its intellectual property rights and leverage on the support of international humanitarian organisations, which are very supportive of India's patent policy. Lalit Mansingh, also a former foreign secretary says: "The US views India as the leader among the BRICS nations and believes India's policy on the matter will form the bedrock that can influence potential policy measures in countries across the developing world." A new draft National Intellectual Property Rights Policy is expected to be announced by the end of the month. One can only hope the government takes into account millions of people who survive on cheap generic copies of unaffordable patented drugs. Sustainable Development Goals: Can we pull them off?